Soft Cover is a hand screen printed fabric magazine spotlighting 12 local artists in Vancouver. Published quarterly with it's first issue debuting in March 2018. 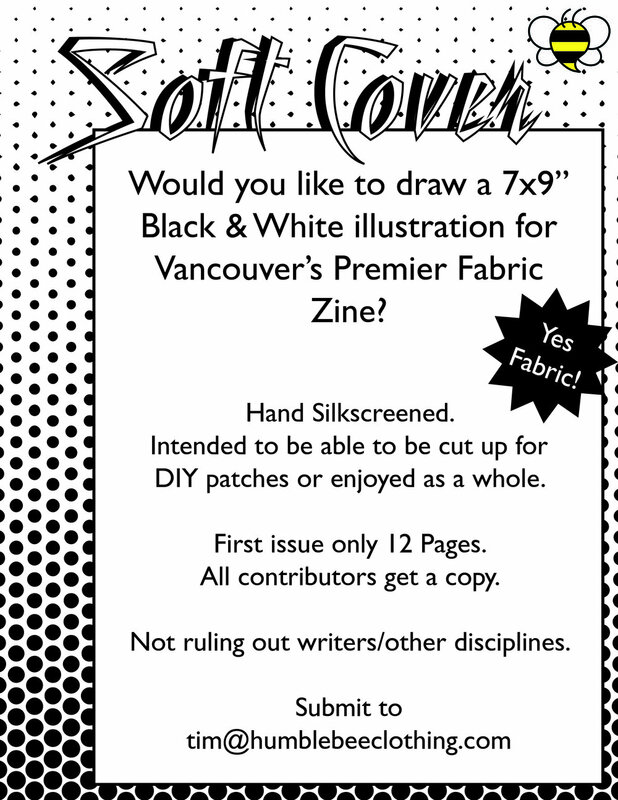 The zine is intended to be cut up for DIY patches or enjoyed as a whole. If you are interested in contributing you can submit to tim@humblebeeclothing.com . You can find our handy template here.